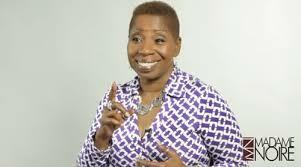 Author and self-help guru Iyanla Vanzant is in the news over comments she made in an interview with MadameNoire Magazine. I agree whole heartedly. Vanzant hit the nail on the head when she talked about women giving reign over their lives to people who make them spiritually, emotionally and mentally sick. To me, her words are not harsh, they’re fair, and she’s not passing judgment so much as she is pointing out a truth as she sees it. And sometimes the truth hurts. Women today seem to do any and everything for men who don’t deserve their adulation, forgiveness, and often unwavering support. They forgive men over and over and over and take them back again and again and again after they’re mistreated, often for the very same offense. Yet, despite a seemingly endless well of patience with abuse from men, women will turn around and throw another woman under the bus so fast the poor thing doesn’t have time to step back onto the curb. I see and hear the stories way too often. It’s like women are taking out their frustrations from man- and society-related abuse on other women. Like, somebody’s gotta pay, supposed friend, and it’s gonna be you. Stop yourself. Any payment for slights incurred should go to the originator, not the innocent bystander. You can take Vanzant’s words one of two ways. Either it doesn’t apply to you, in which case pass it along to someone who might need to hear it. Or, you think about what she’s saying in the context of your own life, and decide whether or not you need to make some changes. I encourage any woman to watch the video. Vanzant is terribly witty while she’s truth telling – “pluck your eye out right now,” is a favorite line. We can’t be afraid of the truth. We have to be open to being dinged if there is an opportunity to come out better on the other side. Women can never support each other too much. It’s like I tell the young women I mentor or even the little birds I encounter as I go about my daily life: society is more than willing to infringe upon your dignity. It will mistreat you, blame you, even attempt to hold you in a box too small for you to fit inside. There is no reason for you to devalue yourself, or to hurt anyone else. You don’t have time for that. Life’s short. Be good to yourself, and be good to fellow women. We need each other, just like we want and need good men.